Urge Your U.S. Representative to Support the International Violence Against Women Act ! ACTION ! ! NS&S. Your message has been sent. Happily signed ~ Thank you Cher! It should not matter what committee a Representative is assigned, what political party or religion they affiliate with, nor what their station in life. 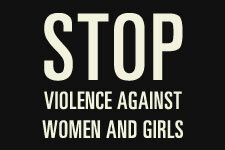 To be a strong supporter of ending violence against women is the responsibility of all of us. I urge you to support HR 3571 for the sake of doing the right thing. As a survivor of domestic abuse I can attest to the long term effects on women and children. Please help stop this epidemic that is spreading worldwide, and in the United States, especially MN. Signed. Noted, tweeted, signed with comment (perhaps the longest comment I've ever written). Do the Teapublicans not realize that this war against women, will catch up with them? How long can you bury your head in the sand? AND.......how long will some people's racism keep them from refusing to see where their bread is buttered?